In order to determine the correct body dimensions, you should only wear underwear during the measurement process. For the best and most accurate result, place the measuring tape around the appropriate area or region in a relativity loose manner. You can more easily maintain a correct tape line by carrying out your measurements in front of a full-length mirror. Once you have taken note of your dimensions, you can use our men’s size charts to determine your garment size. To measure your outerwear dress size, you’ll need to measure your chest and waist. Please take measurements at the widest part of your chest and determine the circumference of your waist at the narrowest point of your torso. To find out your size for jeans and trousers, measure your waist. Simply measure the circumference of your waist at the level you intend to wear the jeans/trousers. Men’s suit sizes are divided into three categories: normal, slim, short/stocky. In order to find out your suit size, measure your height, the circumference of your waist and chest as well as the length of your inner leg and determine whether you belong to the normal, slim or short/stocky category. 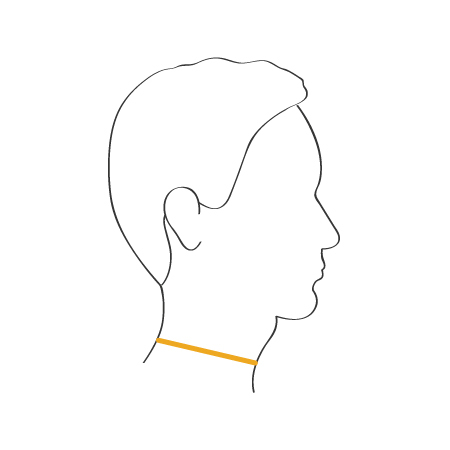 Measure your collar size in order to find out your shirt size. Start by placing the measuring tape right below your larynx and guide it around your neck maintaining the same height. Between your neck and the measuring tape should be enough room for one finger in order to have sufficient space while wearing the shirt. To find out your size for jackets and coats, measure your chest and waist. 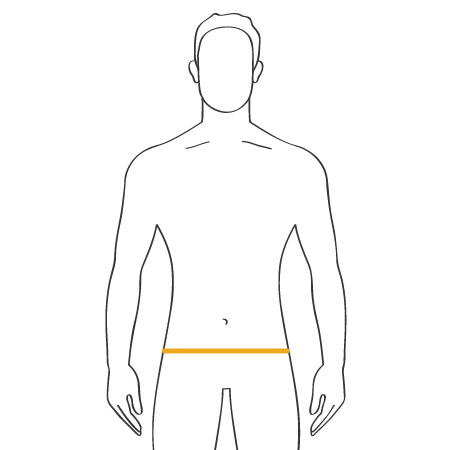 Please take measurements at the widest part of your chest and determine the circumference of your waist at the narrowest point of your torso. 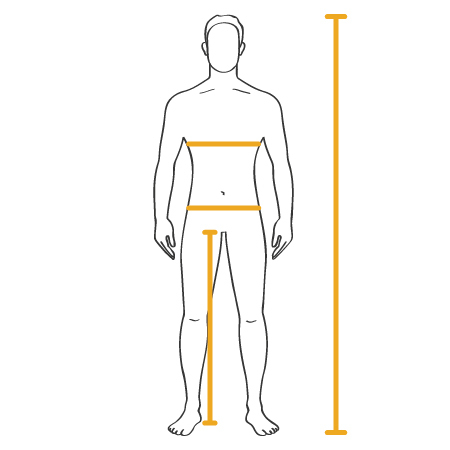 Measure your hip circumference to determine your correct size for underwear. Measure at the widest point of your buttocks. To determine your belt size, you’ll need to measure your waistline. 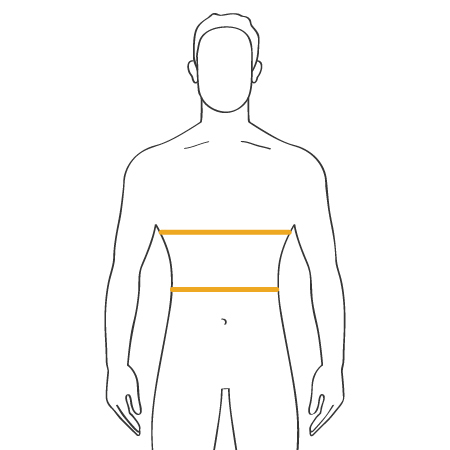 Simply measure the circumference of your waist at the level you intend to wear the belt. To find your hat size, you have to measure your head circumference. 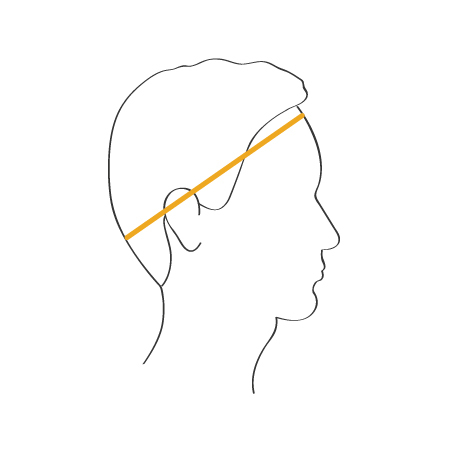 Fix the measuring tape at the middle of your forehead and carefully guide it around your head, just above the ears. To find out your glove size, measure your hand circumference. Take a measurement at the widest part of your hand, with your fingers spread out as you measure. 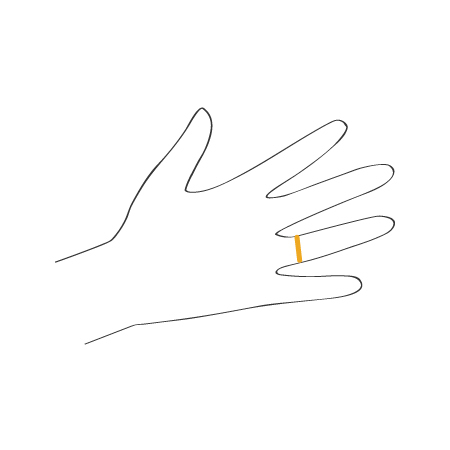 To determine your ring size, measure your finger circumference. Use the tape to measure around the base of your finger. Wrap the measuring tape snugly around your finger for an accurate measurement. Tip: If you purchase a narrow ring, it’s best to order it one size smaller than usual. 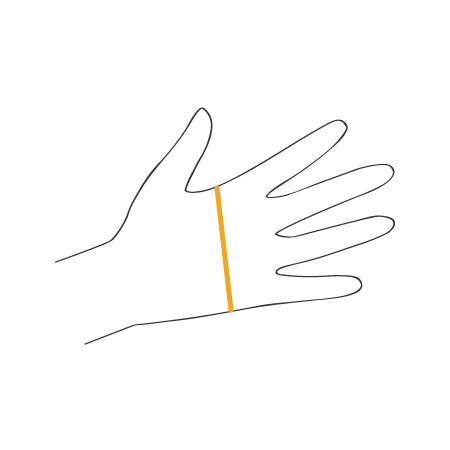 For rings with a width of more than 3 mm, stick to normal sizes. 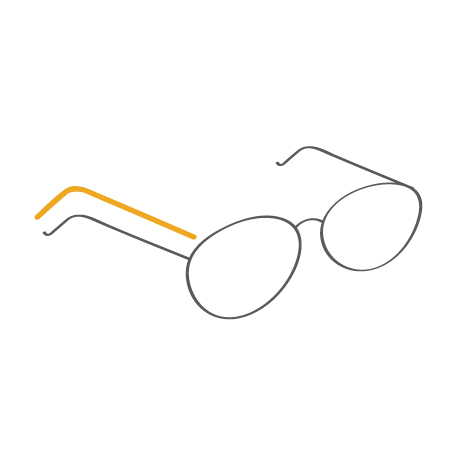 In order to measure you glass size, take the lens diameter, bridge width, temple length and front length (frame width) of glasses you already own and which fit you well. Measure at the inner side of the lens, at the narrowest point of the bridge, along the temple and at the widest point of the frame. Tipp: Most glasses have the size measurement on the inside of the temple. It consists of lens diameter, bridge width and temple length (in mm). 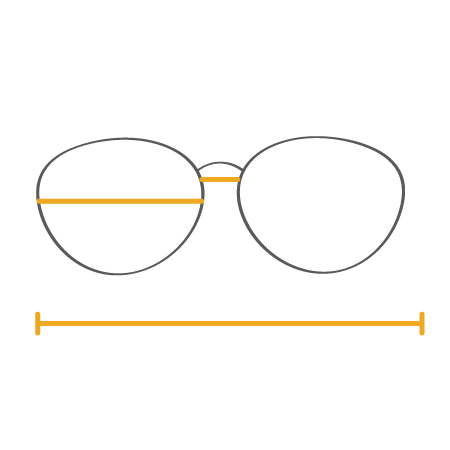 For example: 49☐20/140 (lens diameter ☐ bridge width/temple length). Standard sizes for glasses and sunglasses are between 48 – 58, which is the lens diameter. It is measured at the widest point of the lens. If you haven’t determined your glass size (yet), you will find detailed information in the product description at our glasses sales. To find out your foot size, measure your foot length. Simply determine the distance from the end of your longest toe to the end of your heel. Tip: Draw a straight line on a piece of paper and place your foot on it. Mark the end of your heel and the tip of your toe, then measure the distance between them.